Going to sleep when its still 80 deg Fahrenheit when your only airconditioning is a swamp cooler is difficult, but as sleep started to take over it was a relief from the day that had been over 100 deg Fahrenheit and quite humid. As morning broke there was something completely different going on. Was that rain I heard on the back patio roof? Yes it was, and with an expected high temperature for the day of 65 deg Fahrenheit it was a very different day than the previous one. 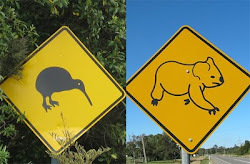 With weather like this it seemed natural to head off to the McLaren Vale area and have a taste around. Whats the weather got to do with it? Well actually nothing, but the weather was quite strange and needed mentioning. Visiting McLaren Vale, wet, dry, hot or cold is not of much concern as it is always a treat. With a great number of fabulous places to taste wine and eat wonderful food the weather is just a backdrop to add even more to your experience. 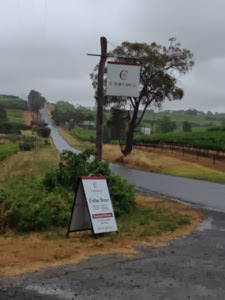 Today's stop was to be to renown Coriole Vineyards Cellar Door. 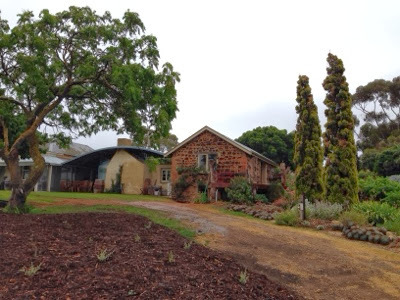 The original old farmhouses at Coriole were built in about 1860 and are the major part of the garden and cellar door. The original vineyards were planted immediately after the first world war. The first wine released was the 1970 Claret (Shiraz). 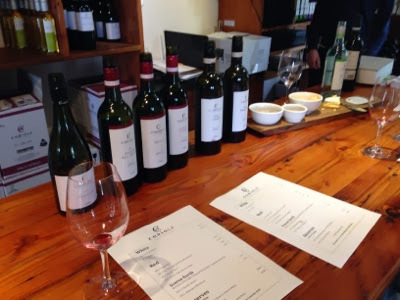 Coriole has also been a pioneer of Sangiovese and Italian varieties since 1985. The soils in the Estate vineyards are predominantly terra rosa soils (over 80%). These soils are shallow with red-brown earth over hard capped limestone. The Estate vineyards are made up of predominantly Shiraz, planted as early as 1919. There are a variety of different vines planted at Coriole with about 65% Shiraz, 10% Sangiovese, 5% Chenin and 5% Cabernet Sauvignon. Other varieties are Fiano, Grenache, Barbera, Montepulciano, Merlot and Semillon. There are in total 25 different vineyards from 90 years old to 3 years old. With this type of vineyards to source from it is not surprising that the range of wines to be tasted is diverse. Tasting in the original old ironstone barn building (built 1860) is really quite neat. The tasting room was first opened in 1972 and there are some wines exclusively only available at the cellar door including "The Old Barn" Shiraz-Cabernet and "The Dancing Fig" Shiraz Mouvedre. Not only can you get a great tasting here they also do courtyard lunches on Friday, Saturday, Sunday and Monday. I, unfortunately did not have one, as I was there on a Thursday but have heard many a good thing about them (will plan better next time). There is also an option for those wanting a more upscale tasting in a special setting. The Wine Room is an new upscale approach to tasting wine at Coriole. It is situated alongside cellar door in the old house of the estate. It is available for people that want to taste in a more relaxed atmosphere seated with cheese and bread supplied and a chance to thoroughly explore the wines. Only rare and reserve wines are available both for tasting and purchase. This tasting does require booking and there is a nominal fee, but for a small group this would make for a nice treat. McLaren Vale is one of the most geologically diverse wine regions in the world. McLaren Vale Scarce Earth Project encourages the release of single block Shiraz wines to allow us to continually learn more about the region and to also further explore the relative influence of geology, soil, climate and topography on wine style. All wines come from a single block, a small plot of land with a unique flavour profile and personality. This is the third year of Scarce Earth and Coriole has two wines in the 2011 program. Galaxidia Shiraz is a single block on Coriole's estate. The vines are approximately 15 years in age and the soil is terra rossa, red brown earth over limestone. The wine is rich and dense with weight and balance. Willunga 1920 Shiraz is as the name suggests from the Willunga region of McLaren Vale and produced from a vineyard planted in 1920. The soil is alluvial and clay based. The wine is elegant, concentrated and complex. Both wines are now available at Cellar Door and are drinking beautifully. 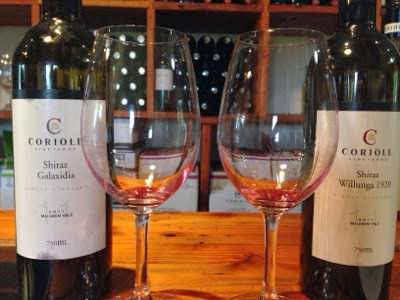 Head on down to McLaren Vale and as one of your stops check out Coriole Vineyards, we 'recommend' you do. WineWalkabout 3 days in the Barossa Valley..